Speechie Freebies: My plate is FULL of Thanksgiving FREEBIE craftivity! My plate is FULL of Thanksgiving FREEBIE craftivity! I love doing craftivities that are related to a theme or match with the season of the year. It is always a bonus when I can incorporate speech goals into the craft because then the students can take it home for practice! Print up the templates and have the students cut out and glue to a piece of brown paper. 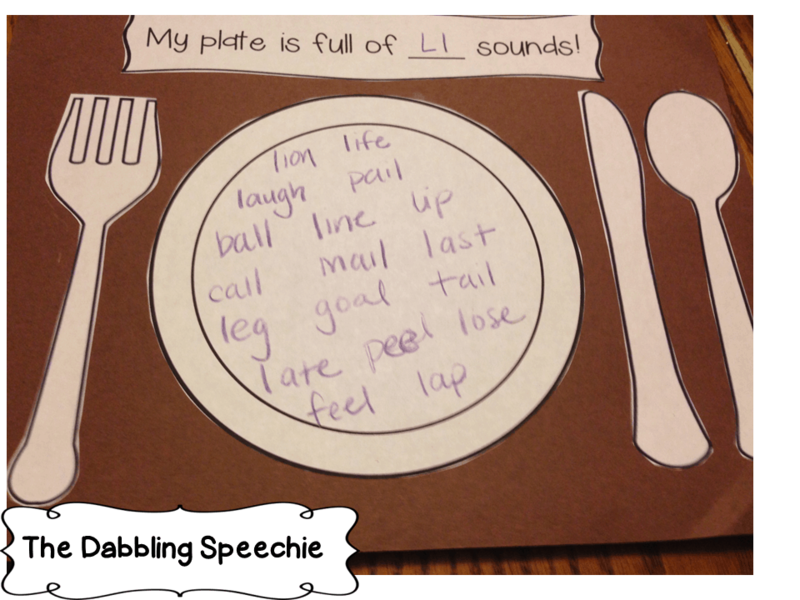 Then, they get to write LOTS of articulation words on their plate. I also included a plate template that had lines, so that you can have your students practice writing sentences with prepositions, adjectives, noun/verb agreement, etc. Go head over to my BLOG to snag this freebie!! If you have to work Monday and Tuesday, this is a great easy prep craft to help the day go by quicker. Thankfully, I am off the WHOLE week, so I did this craft last week with my little ones.